The Pecan Chef Summit Series, hosted by the National Pecan Shellers Association, has become the industry’s leading chef immersion program into the world of pecans. Top commercial and R&D chefs from nationally renowned brands representing major food brands, foodservice companies, major chain restaurants, universities, and more have experienced first-hand the many ways to incorporate pecans and pecan products for recipe development and commercial applications. A combination of interactive educational activities plus experiencing the pecan shelling process with a tour from a sheller/grower facility enlightens attendees on pecan production, distribution, harvesting, grading & storage. Meeting and talking with chefs, learning from them, being a part of the Pecan Chefs Summit has really helped to improve my understanding of pecans and different ways of using them as well. I never knew that you could do so many things with pecans. What I learned I want to take it back and use it in everything. This exclusive two-day culinary educational experience showcases the many flavors, food pairings and uses of innovative pecan products such as pieces, meal, flour and oil. Chefs interact with highly talented culinary professionals in a live cooking demo while participating in a hands-on cooking experience. Chefs learn how to incorporate recipes with pecans as ingredients into salads, soups, appetizers, entrees, sides and desserts. An in-depth nutritional presentation showcases the many health benefits and applications. It’s also a chance to collaborate with like-minded chefs and culinary leaders. The roster of R&D chefs and culinary influencers have included Aramark, Delta Air Lines, General Mills, Georgia Grown, Sysco, and the University of Massachusetts; just to name a few. In 2018, with funding from a grant by the American Pecan Council, the Pecan Chefs Summit Series is growing among the foodservice industry. 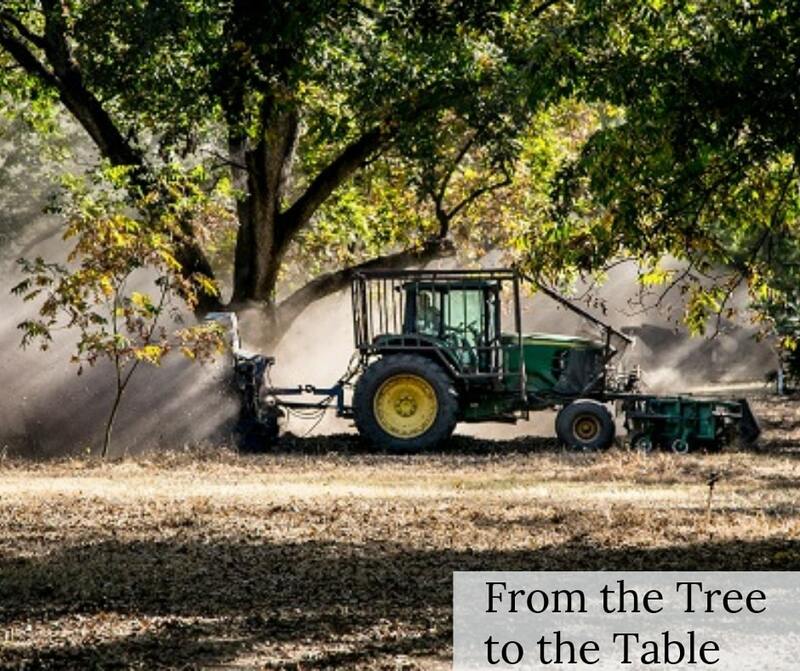 At Sunnyland Farms, a tour of the grower/sheller facility was featured during a live pecan harvest with the Willson’s, a multi-generation farm family, enlightens chefs on pecan production, distribution, harvesting, grading and storage of pecans. This year’s Pecan Chefs Summit Culinary Director was Marie Ostrosky, senior television producer, food stylist, cookbook author and recipe developer. From pecan pieces, to halves, to meal, to flour, to oil, the chefs created recipes that incorporated pecans into appetizers, soups, salads, entrees and desserts. With more than 20 years of culinary expertise, Marie’s path led her to the kitchens of the Food Network, where, for 15 years, she was at the forefront of cooking shows as entertainment. She developed original, Emmy-nominated programming such as “Emeril Live!,” “Molto Mario” and “Grillin & Chillin with Bobby Flay” plus segments for Martha Stewart Living, NBC’s “TODAY”, CBS’s “This Morning” and Discovery Channel – just to name a few. Marie is also a recipe developer for brands such as McCormick Spices and Perdue Chicken. Read more. Marion Laney has a passion for shooting food: for fourteen seasons with “Good Eats” with Alton Brown on Food Network, “Feasting on Waves” with Alton Brown, the FYI series “Rusty’s RockFeast: Backstage with Zac Brown Band”, and chefs Rick Bayless in Mexico and Mario Batali in Italy on two culinary TV series for PBS and Food Network respectively. He’s also worked on numerous food related commercials like Publix, O’Charley’s, McDonald’s, etc . Marion extends his passion for food as one of a six-member committee for the annual James Beard Foundation Broadcast and Journalism Awards (the Oscars of the culinary industry). Read more. Representing the pecan sheller/grower community is the NPSA Chair, Dan York. Dan is President and owner of York Pecan Company in Foreman, Arkansas. He and his sons, Will and Starnes, are 4th and 5th generation farmers along the Red River in the Foreman area. Visit their website at www.yorkpecans.com or call 877-732-2699 for more information. Noted nutrition expert, award winning food writer, author, television personality and registered dietitian nutritionist, Carolyn O’Neil MS RDN, believes “The More You Know, The More You Can Eat!” She’s the author of Southern Living’s best-selling Slim Down South Cookbook: Eating Well and Living Healthy in the Land of Biscuits and Bacon and co-author of The Dish on Eating Healthy and Being Fabulous! (Atria Books) which won “Best Health and Nutrition Book” at the World Food Media awards. Read more.